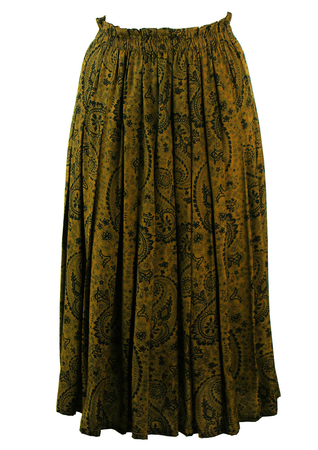 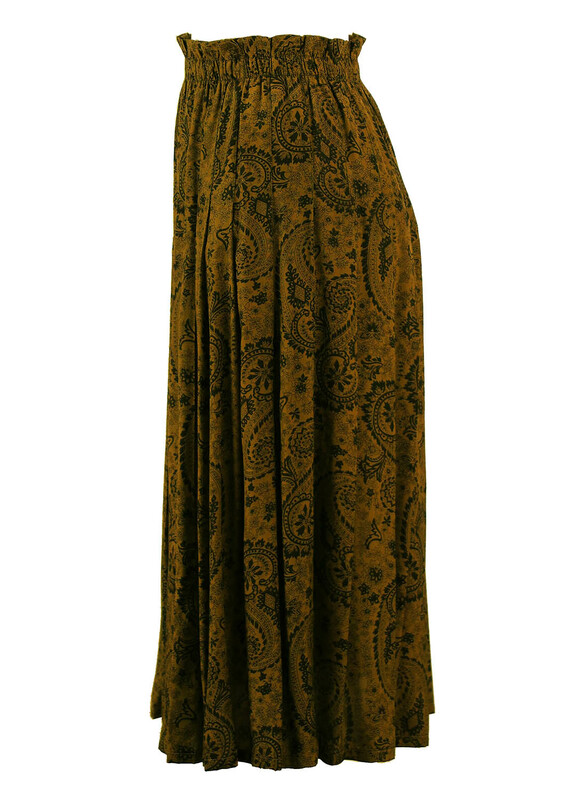 Olive green midi skirt with an intricate paisley print in contrasting black. The skirt has soft pleat detailing with frill edging at the waistband. 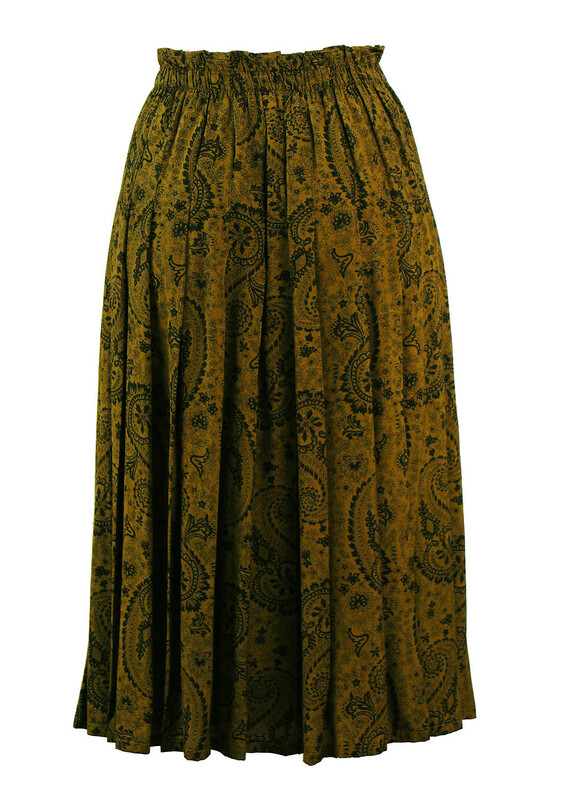 Elasticated at the waist this garment can stretch between 25″- 28″ without distorting the shape.